The Center of Cancer Systems Biology (CCSB) is one of twelve national Centers for Cancer Systems Biology funded by the National Institutes of Health and the National Cancer Institute's Integrative Cancer Biology Program (ICBP). 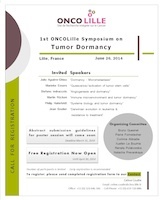 Our CCSB brings together diverse researchers from biological, mathematical, physical, and clinical backgrounds to better understand the molecular and tissue-level events underlying cancer progression and development. 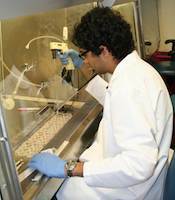 The team of lab investigators and research staff assembled at the CCSB is working to develop novel approaches to the cancer problem at both the molecular and the systems levels. Since its founding in 2006, the CCSB has become an internationally competitive research and training facility and research data repository in cancer systems biology. Earlier this week, several CCSB researchers attended and presented posters at the 60th Annual Meeting of the Radiation Research Society (RRS) held in Las Vegas, NV, September 21-24. This annual meeting is an important opportunity for investigators in all areas of the radiation research community to come together and discuss new and important findings. CCSB members Lynn Hlatky, Philip Hahnfeldt, Afshin Beheshti, Dohoon Kim, and Mamta Naidu participated in this exciting meeting and exhibited posters representing some of the ground-breaking research in radiation being conducted at the CCSB. In addition, CCSB Director Lynn Hlatky was selected to give a talk on Systems Biology to early stage radiation researchers at the RRS Scholars-in-Training Workshop held the day before the annual meeting on September 20. For the past several months, CCSB Assistant Investigator and Research Instructor at Tufts University School of Medicine Kathleen Wilkie has been working hard as co-chair planning the 2014 ICBP Early Stage Investigators (ESI) in Cancer Systems Biology Steering Committee Meeting. To enhance the training of researchers who are entering the field of cancer systems biology, the NCI's Integrative Cancer Biology Program (ICBP) supports this annual meeting for junior investigators associated with the ICBP initiative. These meetings focus on topics not typically included in an investigators’ formal training — such as career development in academia or industry and funding opportunities particularly relevant for early stage scientists — as well as serve as a networking and communication opportunity for each of the twelve ICBP centers. Dr. Wilkie will be joined by Lili Ma, Afshin Beheshti, and collaborator Michael La Croix in representing the CCSB at this meeting September 4–5 in Cambridge, MA. 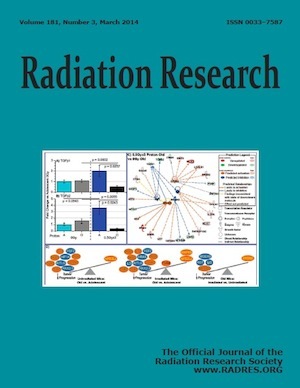 The March 2014 issue of the journal Radiation Research highlights work of several CCSB investigators on the cover. The article, "Proton irradiation augments the suppression of tumor progression observed with advanced age", describes our investigation into how proton irradiation impacts tumor advancement as a function of host age, particularly in light of the fact that proton irradiation modulates fundamental biological processes known to decrease with aging (e.g., angiogenesis and immunogenicity). The findings, with both therapeutic and carcinogenesis implications, suggest that old hosts exhibit a reduced capacity to support tumor advancement, which can be further reduced by proton irradiation. Beheshti A, Peluso M, Lamont C, Hahnfeldt P, Hlatky L. Proton Irradiation Augments the Suppression of Tumor Progression Observed with Advanced Age. Radiat Res. 2014 Mar;181(3):272-83. Epub 2014 Feb 25. 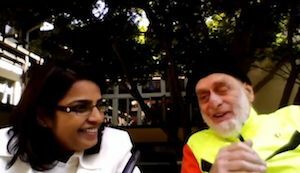 CCSB researcher Dr. Swati Girdhani and collaborator Dr. Rainer Sachs, Professor Emeritus of Mathematics and Physics at University of California Berkeley, spoke with Dr. Sylvain Costes in a special video interview for the Radiation Research Society podcast series. The conversation focused on the current knowledge base in the field of proton radiation, stemming from a review by Drs. Girdhani, Sachs, and Hlatky which appeared in the March 2013 issue of Radiation Resarch and which was featured on that issue's cover. Girdhani S, Sachs R, Hlatky L. Biological effects of proton radiation: what we know and don't know. Radiat Res. 2013 Mar;179(3):257-72. Dr. Jonathan Tang and Dr. Sylvain Costes, co-founders of Exogen Biotechnology and CCSB collaborators at Lawrence Berkeley Laboratory, were among a select group of ten entrepreneurs invited to meet with French President Francois Hollande during his February 12, 2014 visit to Silicon Valley. During the visit, President Hollande was eager to learn about biotech startups in the U.S. and their paths to success. 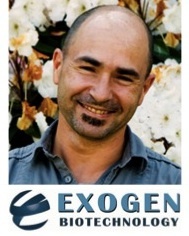 Exogen Biotechnology, Inc. is a health startup aimed at developing cutting-edge technologies for individuals to monitor damage to their DNA and to assess their DNA repair capacities for the purposes of personalized and preventive health care. 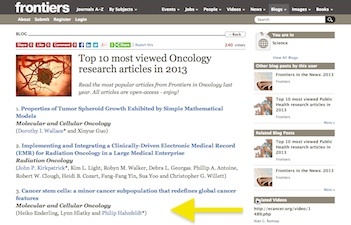 An article published by CCSB investigators in an April 2013 special issue of Frontiers in Oncology has been cited as the journal's third most viewed Oncology research article in 2013. The article, by Drs. 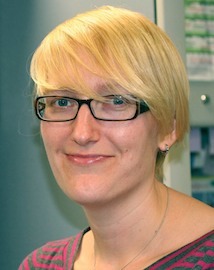 Enderling, Hlatky, and Hahnfeldt, is entitled “Cancer stem cells: a minor cancer subpopulation that redefines global cancer features” and appeared in a special issue on Computational Models in Oncology: from Tumor Initiation to Progression to Treatment, edited by K. A. Rejniak and H. Enderling. The article has been viewed over 1,000 times since its publication on April 15, 2013! Enderling H, Hlatky L, Hahnfeldt P. Cancer stem cells: a minor cancer subpopulation that redefines global cancer features. Front Oncol. 2013 Apr 15;3:76. PMCID: PMC3625721. 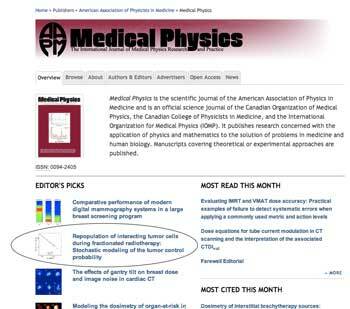 A recent manuscript co-authored by CCSB investigators has been selected to be highlighted under the EDITOR'S PICKS column on the Medical Physics Scitation site. 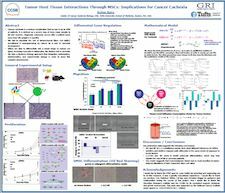 Entitled “Repopulation of interacting tumor cells during fractionated radiotherapy: Stochastic modeling of the tumor control probability”, the article looks at optimal treatment planning for fractionated external beam radiation therapy in the context of tumor repopulation, presenting a new stochastic tumor control probability (TCP) model for repopulating “stem-like cancer cells” (SLCC) within microvenironmental niches. Fakir H, Hlatky L, Li H, Sachs R. Repopulation of interacting tumor cells during fractionated radiotherapy: Stochastic modeling of the tumor control probability. Med Phys. 2013 Dec;40(12):121716.